functions across all major groups of organisms. They play key roles in photosynthesis in plants, they function as antioxidants, and they provide many of the bright yellow, orange, and red coloring we see in plants, fungi, and animals. 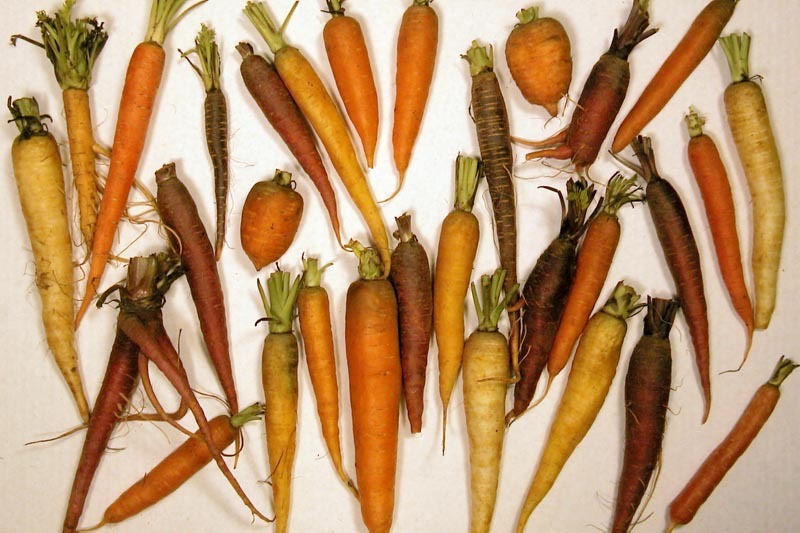 For example, the familiar orange coloration of carrots and red coloration of tomatoes is derived from carotenoids. In a newly published paper in the journal Arthropod-Plant Interactions, Jeremy Heath (former PhD student), reviews the many varied functions of carotenoids in insects, with emphasis in how carotenoids and their derivatives influence interactions between insect and their environments (notably plants). 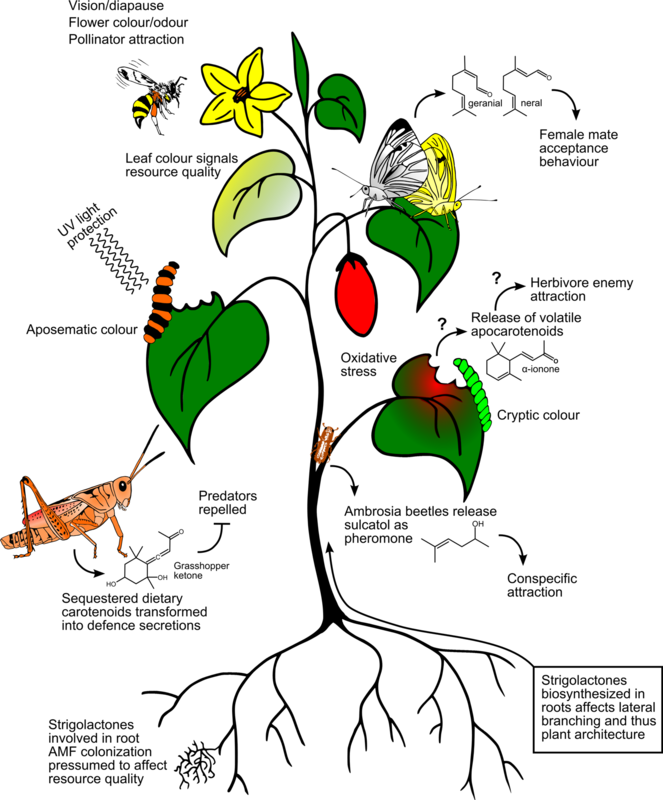 A stylized, schematic representation of the various known and hypothesized functions of carotenoids in insects that mediate ecological interactions. He briefly reviews the structure and biosynthesis of these molecules and then discusses their roles in cryptic and aposematic coloration in insects, their importance in vision, photoperiodism and diapause, their function as antioxidants, and their role in signaling. He also explores the possible functions of carotenoid derivatives such as strigolactones and volatile apocarotenoids in mediating interactions between insects and plants (and fungi), and between insects and their parasitoid enemies. Contact Jeremy (heath.22@wright.edu) or myself (john.stireman@wright.edu) for reprints. Heath, J.J., D. Cipollini, and J.O. Stireman III. 2013. The role of carotenoids and their derivatives in mediating interactions between insects and their environment. Arthropod-Plant Interactions 7:1-20. This entry was posted in Scientific publications and tagged carotenoids, chemical ecology, insect-plant interactions. Bookmark the permalink.